This historic hotel is located at what had once been the northwest corner of the Alamo compound, site of the bloodiest fighting when Mexican troops overran the mission and slaughtered its Texian defenders on March 6, 1836. Garrison commander William B. Travis was among those who fell here (the front desk being located at the spot where he was believed to have died), and the area was so packed with mangled bodies in the aftermath of the battle that the ground was said to have been saturated with blood. In the years after the battle, Samuel Maverick, who left the besieged Alamo four days before it fell to serve as a delegate to the convention for Texas independence, built his home at this location. Then, in 1909, Southern Pacific Railroad executive Colonel C. C. Gibbs built the first skyscraper in San Antonio on the site. 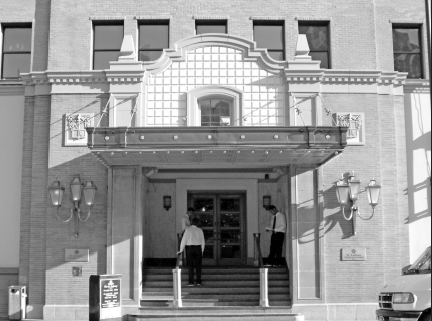 The Gibbs building still stands today and houses the beautiful Hotel Indigo San Antonio Downtown-Alamo. Paranormal activity that people have claimed to experience at the hotel includes hearing the sounds of gun and cannon fire and the agonized wailing of wounded and dying men; seeing spectral figures moving a cannon along the adjacent streets; hearing strange voices and disembodied footsteps, particularly in the basement; seeing people getting on and off the historic and now out-of-service elevators; and witnessing figures in 19th-century clothing walking down the halls, entering rooms, and then disappearing. 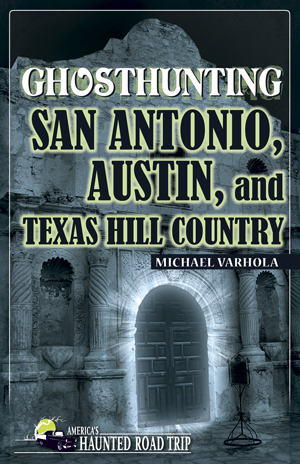 For a journey to some of the most haunted and fascinating places in San Antonio, Austin, and the Texas Hill Country, check out Michael O. Varhola’s book Ghosthunting San Antonio, Austin, and Texas Hill Country. About the author: Michael Varhola has authored or coauthored 34 books and games — including the swords-and-sorcery novel Swords of Kos: Necropolis and two fantasy writers guides. 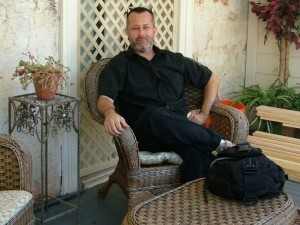 He has also published more than 120 games and related publications. He is the founder of the game company Skirmisher Publishing LLC, editor in chief of d-Infinity game magazine, and editor of the America’s Haunted Road Trip series of ghosthunting travel guides. He has edited, published, or written for numerous publications, including The New York Times. He also has an active online presence, notably through Facebook and a variety of other blogs, forums, and sites. He lives in the Texas Hill Country. About the series: America’s Haunted Road Trip is a one-of-a-kind series of haunted travel guides. 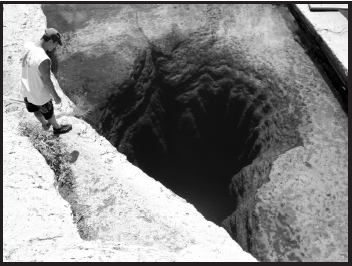 Each book profiles 30-100 haunted places that are open to the public. From inns and museums to cemeteries and theaters, the author visits each place, interviewing people who live and work there. Books also include travel instructions, maps, and an appendix of 50 more places the reader can visit. Three ambitious cattlemen, A. H. Jones, B. L. Naylor, and F. M. Swearingen, opened the St. Anthony Hotel in 1909 in anticipation of San Antonio becoming a tourist destination, and it quickly became a popular place for visitors to stay. It is located near San Antonio’s River Walk and the Alamo. Many rich and famous Americans were among the visitors to the St. Anthony, its restaurant, and its bar. They have included Fred Astaire, Lucille Ball, George Clooney, President Dwight D. Eisenhower, Judy Garland, Greer Garson, Rock Hudson, Betty Hutton, General Douglas McArthur, Matthew McConaughey, Demi Moore, Gregory Peck, Prince Rainier and Princess Grace of Monaco, Mickey Rooney, Eleanor Roosevelt, John Wayne, Arnold Schwarzenegger, Maria Shriver, Patrick Swayze, and Bruce Willis. 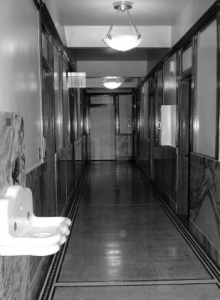 Paranormal phenomena people have experienced at the St. Anthony Hotel include seeing strange shadowy outlines, feeling unseen presences, seeing doors opening and closing for no apparent reason, and hearing disembodied footsteps following behind them. Ready for some ghosthunting combined with a luxurious stay? 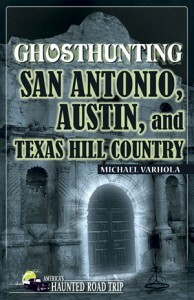 For a journey to some of the most haunted and fascinating places in San Antonio, Austin, and Texas Hill Country check out Michael O. Varhola’s book Ghosthunting San Antonio, Austin, and Texas Hill Country.